Marcus Eaves' spiced monkfish recipe offers a masterclass in pairing warming spices with seafood. 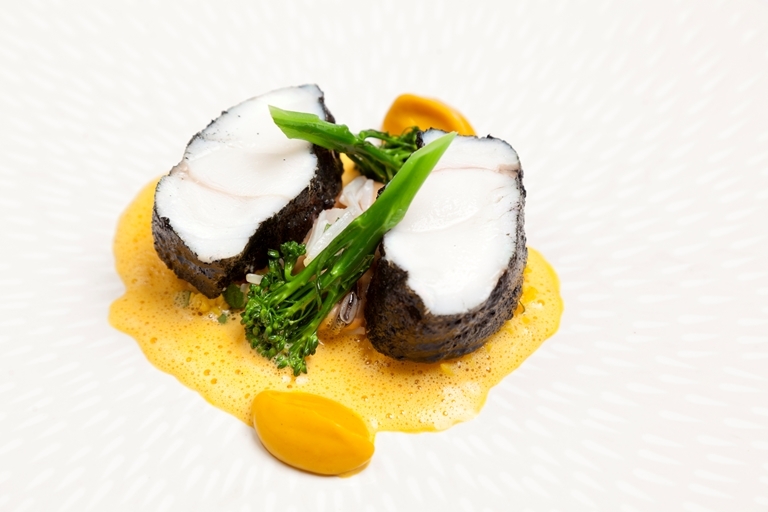 The monkfish is lightly salted and rested before being coated in the black curry powder and cooked in the oven. The shellfish stock is best made from cooked mussels, alternatively, use clam juice or good quality fish stock. Ensure to taste for salt levels before adding to the sauce.